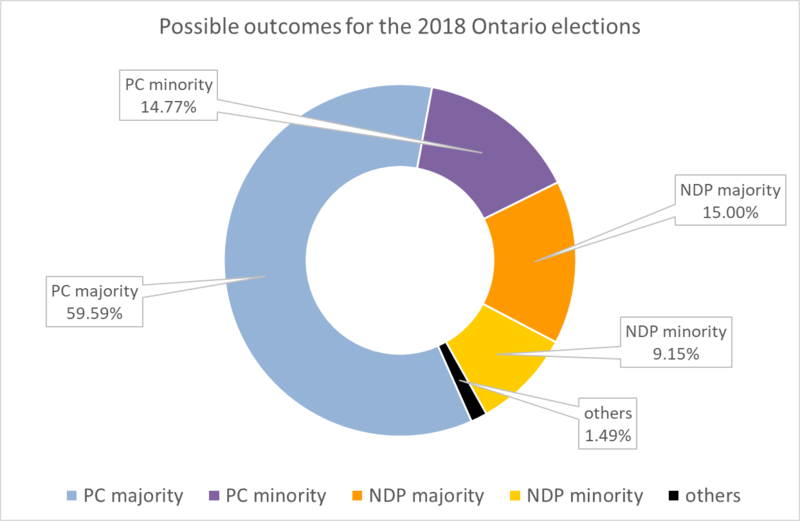 Not a long article today as I already wrote a long text about how provincial and riding polls don't agree with each other. 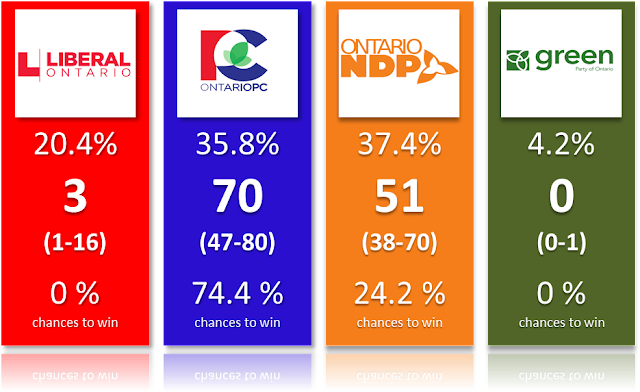 Just a quick projections update. We got a ton of polls! Like really, it's like the election is tomorrow. The average moved quite a bit with the PC now less than 2 points behind while it was over 3 yesterday. The chances of winning are now further from the quasi toss-up of yesterday as well. I'm starting to believe that the NDP will need a late campaign surge if Andrea Horwath wants to win next win. Make no mistake though, there is still considerable uncertainty.